- Used to provide protection to the arms of the welder. - Made of AB leather with thickness of minimum 1.1 mm. 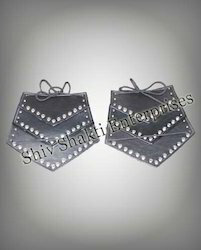 - Comes With Cotton Rib at Cuff & Strap with valcro at shoulder. 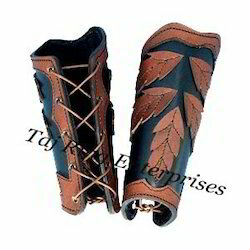 We make finest leather arm guard for archers all around the world, as per their requirement. We use pure veg tanned leather for the same which is skin friendly. we make sevaral designs . Short Arm Guard in Split Leather.